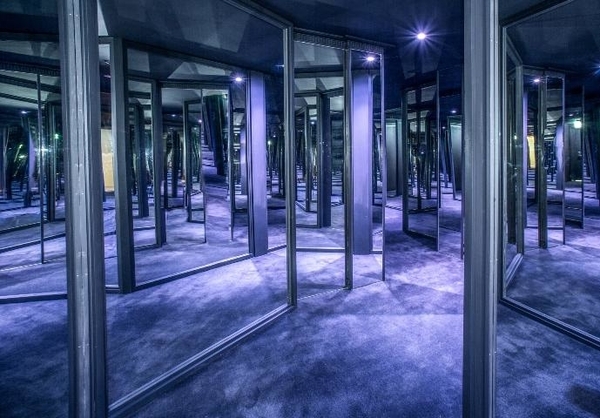 Ideal for travelling away over school holidays, family holidays, or simply something new and exciting for the kids; the new KidsZone Mirror Maze and children's games room has opened up at the Fairmont Resort Blue Mountains (MGallery). These new additions mean that parents have absolutely nothing to worry about when it comes to finding activities for their children while on a family break. In fact, the kids probably wouldn't mind if they didn't see you altogether with these great new additions. The recently opened mirror maze makes for an ideal family activity over school holidays. Since it opened in August, the new Mirror Maze Arcade includes a great big mirror maze that kids can't get enough of, a kid sized bowling alley, as well as pin ball machines, and arcade games. There's also a parent's lounge too. In addition to KidsZone, the Fairmont Resort also offers the famous Fairmont Express, the only hotel train in the Blue Mountains. While staying at the property, children can take a trip around the merry-go-round, and get lost in the outdoor maze and have a go on a Segway. The Kids Magic Kingdom has a giant jungle gym and Wii consoles, designed for 5 to 12 year-olds, while Dane's Room is designed for 0 to 5 year olds with a range of safe and fun games. During the school holiday season, a daily entertainment program is also available. While it's not a typical hotel 'Kids Club', parents do need to supervise their children. But there's so much to do that parents are likely to enjoy it just as much as the little ones. It's the ultimate way for parents to enjoy a break away and let the kids have a great time as well. Accommodation packages are now available which include full buffet breakfast and a family pass for two adults and two kids to check out Scenic World, a crazy-steep incline railway that offers unreal views of the scenic surrounds. Rates start from $329 per package and conditions apply. For reservations, contact 02 4785 0000 or visit the website.